Someone is killing the guests at a mountain resort, and you could be next if you don't solve the mystery at the heart of this chilling thriller. Take the role of a doctor who's summoned to a remote hotel to tend to a patient, and hold on to your sanity as you discover the first victim moments upon arriving at the retreat. As you search for clues, crack brain-bending puzzles and read newspaper clippings that reveal the hotel's horrific past, two questions will take shape in your mind: What ties do you have to the hotel? And why did one of the victims claim you are the killer? The answer will shock you. 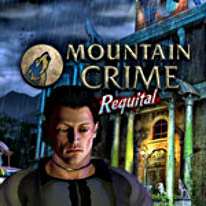 Play Mountain Crime today to discover the truth.